Brand8 PR News/Views | Black Friday bargains galore or PR nightmare? Black Friday: Bargain central or PR nightmare? Ever since the Black Friday concept made its way to the UK, stores have increasingly joined the bandwagon, with retailers of all size in all sectors seeking to outdo each other with a raft of discounts on popular goods. While many consumers have undoubtedly benefited from bargains, the Black Friday craze has not been without its detractors, with some claiming that the goods on sale are actually marked up before being discounted again to give the impression of a better bargain. Last year represented the most damning indictment yet, with news bulletins broadcasting chaotic scenes in major supermarkets as bargain hunters swarmed in at midnight and punched, kicked and wrestled their out of the shop with flatscreen TVs and other big ticket items. Many predicted this would mark the end of the phenomenon in the UK, with a recent study from Blue Yonder indicating that 75% of shoppers who participated in Black Friday 2014 had at least one negative experience. Perhaps unsurprisingly, just 38% of respondents were planning to bag a bargain on Black Friday on November 27, compared to 46% who did so last year, and it is not only customers who are turned off the idea. Asda announced that it would be avoiding a repeat of last year’s shopping shenanigans by boycotting Black Friday altogether and instead offering millions of pounds of discounts in the run-up to the festive period and beyond. Fashion brand Jigsaw went a step further, announcing that it would be ignoring heavy discounts and instead focus on the “true value” of its products, with the slogan ‘Reduced by Nothing; Standing for Something’. This approach is particularly interesting, as it hints at a longer term outlook that is perhaps overshadowed by 50% discounts and cut-price deals. Encouraging people to buy en masse is all well and good, but when there is no reason behind the purchase, other than the satisfaction of acquiring something on the cheap, it does little to encourage advocacy and repeat custom. This was recently explored by Warren Johnson from W Communications, who told PR Week that retailers should avoid jumping on the bandwagon and instead think of innovative and creative ways of attracting and – crucially – retaining customers. 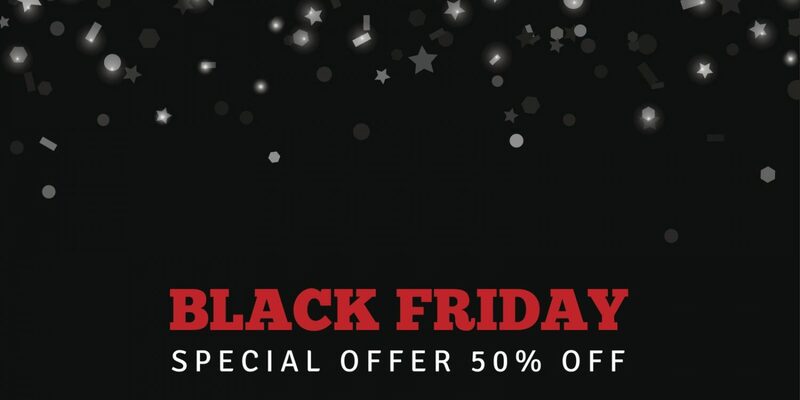 He described Black Friday as “an entirely artificial marketer’s construct which has zero relevance this side of the Atlantic”, and it is difficult to disagree, considering it is not a public holiday in the UK, and we already have traditional sales periods on Boxing Day and in the New Year. Furthermore, while slashing the cost of TVs and encouraging bulk buying will undoubtedly spike profits in the short-term, there are numerous pitfalls to the practice. Selling products at a fraction over the wholesale cost not only limits profit margins, but can also harm future sales as those who would usually shop on Boxing Day and in the New Year sales have already had their fill. The practice is simply unsustainable, with a study carried out by law firm Gordons finding that retailers are fully aware of this; 86% were planning to reduce or end their participation in Black Friday in 2015. From a public relations perspective, it can be catastrophic; few people will forget the madness at Asda last year, and so it is little surprise that the supermarket giant has boycotted Black Friday. However, this only serves to refresh memories of last year’s chaos and – in some people’s minds – the notion that it was more concerned about footfall than brand advocacy. Tesco has adopted a similar face-saving approach, announcing that a queuing system would be put in place the night before Black Friday and that it was taking the unprecedented step of closing its 24-hour stores at midnight on November 26 before reopening at 5am, enabling staff to arrange stock and prepare for the swell of consumers. So, to participate or not to participate? While evidence points towards Black Friday being beneficial in the short-term but potentially damaging in the long run, the vast majority of retailers have taken part in 2015. The success of the initiative across various retailers and sectors will not truly be known until pre- and post-festive sales data is released, but it will be interesting to note the performance of the likes of Asda and Jigsaw in terms of sustained sales, compared with their rivals’ peaks and troughs. Black Friday has already become synonymous with gratuitous spending, and the longer that retailers and consumers embrace it, the more this perception will perpetuate. The question for consumers needs to be whether this mode of spending is actually beneficial to their finances and overall shopping experience. For businesses, the longer term impact needs to be given more careful thought, to ensure that brand reputation is not sacrificed in favour of short-term profit. How can I boost my Christmas marketing campaign?